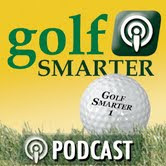 Amazingly enough I am now on my fourth year of GOLF SMARTER Podcast interviews with Fred Greene. This annual ritual occurs at the beginning of each year. For all those that find me irritating enough, you now have a new way to annoy yourselves. Click on the icon above and you can listen to the Podcast, which is the #1 ranked Podcast related to golf.